Disclosure statement: Rose S. Aslan does not work for, consult, own shares in or receive funding from any company or organization that would benefit from this article, and has disclosed no relevant affiliations beyond their academic appointment. 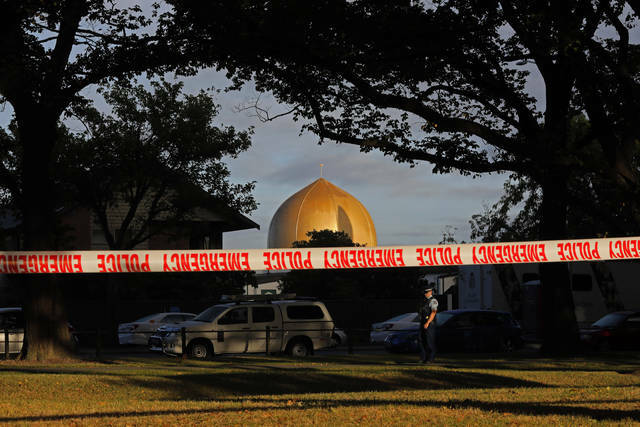 The horrific attack on mosques in New Zealand tells us, again, that racist hatred is a global terrorist threat. It must be identified as such, and robustly rejected. On one of the darkest days in history for Muslims worldwide, the president’s initial response to the New Zealand killings failed to mention Muslims, Islam, Islamophobia, white supremacy, racism, bigotry or violent hatred that targets people based on their religion. Trump will, hopefully, come around to more explicitly and effectively condemning the latest acts of mass violence directed at places of worship by white supremacists. But his every action reminds us that we have a president whose priorities are so warped that he cannot bring himself to lead in the moment when leadership is most needed. Even the president’s supporters, who make excuses for what they tell us are his “lapses,” and who so ardently reject any suggestion that he encourages or tolerates bigotry, have to recognize that Trump is failing miserably as a leader. The United States is a powerful, influential country. But the measures of American leadership on the global stage are fluid. They depend on the quality of the individuals who occupy positions of public trust and authority. “We’ve got a big problem on our hands and we need to recognize that social media allows white supremacy, much like other forms of hate, to travel across borders, and we’ve got to recognize it for the global terror threat that it really is,” warned Greenblatt, who noted that the killer in Christchurch had referenced white supremacists and white nationalists who had engaged in mass murder in the United States and other countries. There is no point in mincing words about the threat posed by white supremacy and Islamophobia. Indeed, mincing words sends precisely the wrong signal. “Warm sympathy” is all fine and good. But, according to news reports, the Australian-born suspect in the mass shooting wrote a 87-page manifesto that described the American president as “a symbol of renewed white identity and common purpose.” Trump, who invited an international outcry with his suggestion that there were “very fine people” among white supremacists and white nationalists who mounted violent protests in Charlottesville, Virginia, in 2017, should have recognized the need to respond in a dramatically better way this time. The language of “Never Again!” should have been employed on Friday. But not with regard to a legitimate investigation into political and presidential wrongdoing. It should have been employed to condemn racist hatred and violence that has targeted churches, synagogues, and mosques. But Trump could not get there. Instead, he literally repeated his attacks on the woman who won 2.9 million more votes than he did in the 2016 presidential election. Yes, Trump found time on Friday morning to attack “Crooked Hillary,” but no time to attack white supremacy or Islamophobia. And what was former secretary of state Hillary Clinton saying at roughly the same time? That is how a president of the United States is supposed to respond in a moment of horror that demands clarity—and leadership. Disclosure statement: Stephen Croucher does not work for, consult, own shares in or receive funding from any company or organization that would benefit from this article, and has disclosed no relevant affiliations beyond their academic appointment.